CELLAR DARLING [ex- ELUVEITIE] - THE SPELL LTD. EDIT. (2CD MEDIA-BOOK) | Online Shop | Wizard LTD. Album: "THE SPELL LTD. EDIT. 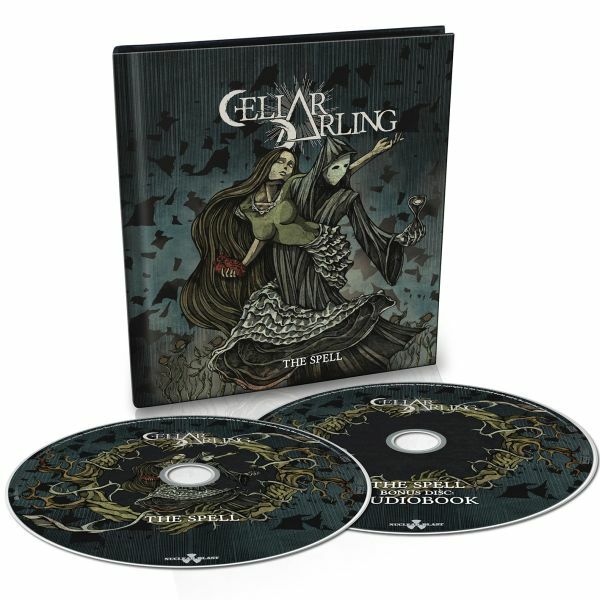 (2CD MEDIA-BOOK)"
- CELLAR DARLING FEED US WITH MORE EPIC & PROGRESSIVE STORYS! CELLAR DARLING’s second full-length »The Spell« weaves a dark fairytale for the modern era, told through heavy yet intricate, progressive folk rock, enchanting visual art and utterly immersive storytelling. The band began in 2016 after Anna Murphy (vocals, hurdy-gurdy), Merlin Sutter (drums) and Ivo Henzi (guitars and bass) left Swiss folk metallers ELUVEITIE, which they had all played in for over a decade. But they weren’t ready to end their musical journey together yet, and embarked on a new and different path.